Very happy with the fit and feel of these diapers, and very cute pattern! Not many leak issues. 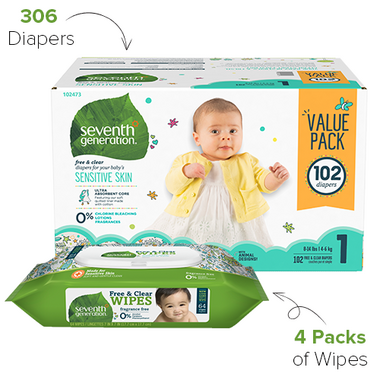 Also happy that I actually know what all the ingredients in the wipes are - so I don't feel like I'm rubbing mystery things onto my baby. And glad they don't contain alcohol, parabens or fragrances. My little guy has sensitive skin and neither of these products seems to irritate it. Good deal to get this pack too; convenient, lasts a good long while.